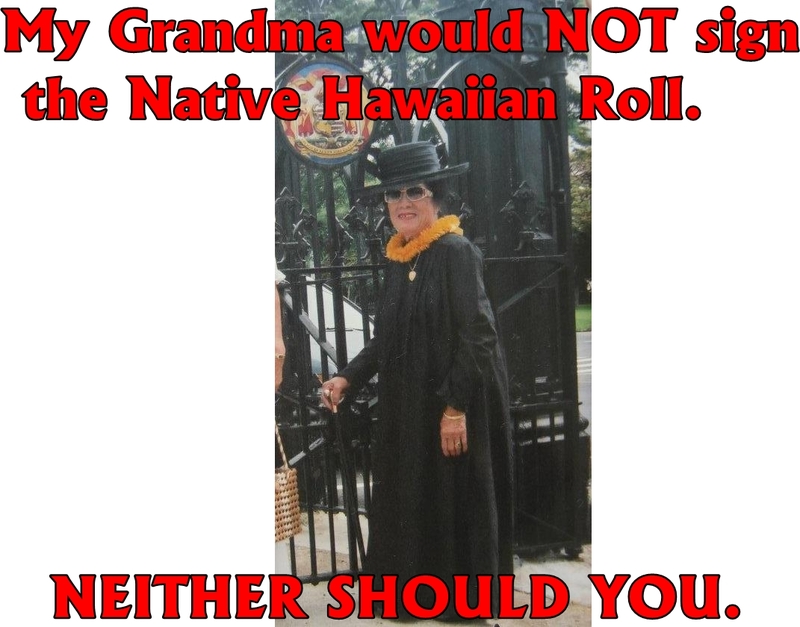 Justice For Hawaiians » My Grandma Would NOT Sign the Native Hawaiian Roll. Neither Should You. My Grandma Would NOT Sign the Native Hawaiian Roll. Neither Should You. My Grandmother was adamant about signing the Native Hawaiian Roll which the Frauds and thieves are being maha’oi about pushing it ONTO and imposing it ONTO the Hawaiian people. Do NOT sign the Native Hawaiian Roll.